This piece has three colors for a colorful look. 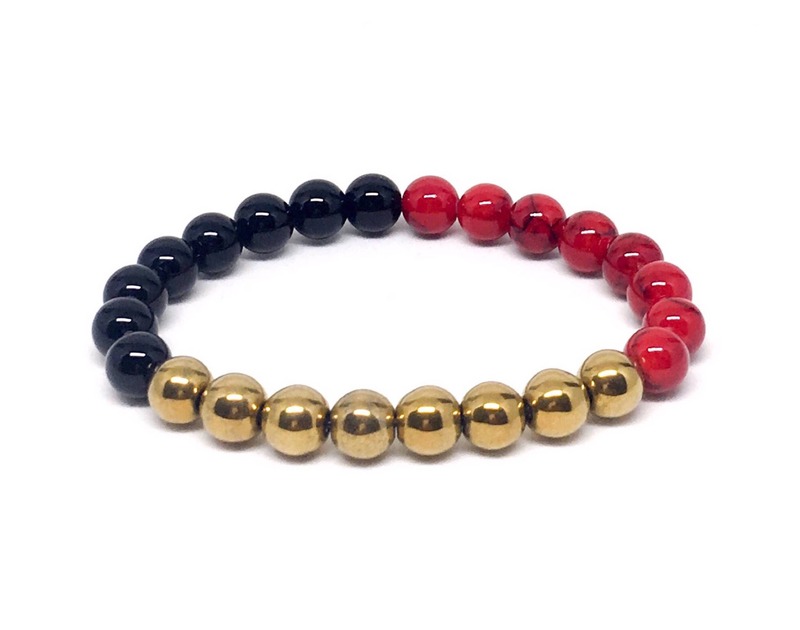 It's made with 8mm Hematite, 8mm Onyx and Red Jade Opaque with Black Striping. This bracelet comes with a Sill Suede Pouch customized with our logo.